I Suffered an Injury in a Car Accident. Do I Have a Personal Injury Case? Determine whether or not you have a personal injury case David Ricks of the Inland Empire Law Group helps injury victims know if they have an injury case that requires a lawyer to handle their personal injury case. I was recently contacted by an Apple Valley resident, a young lady, who wanted to know if she had an accident claim and if she needed an attorney for her personal injury claim. She described the circumstances of her Apple Valley car accident. She described the injuries she had suffered and her present condition. She was in pain from the accident. She went on to describe that there had been passengers in her car that were also injured and hurting. She told me that as she was driving her car on State Highway 18 when a delivery van struck the back side of her car blowing out the window and causing significant damage to the car. A police report was taken and despite the other party disputing responsibility for the accident, the County of San Bernardino Sheriff in charge of the accident investigation found the other party to be at fault. 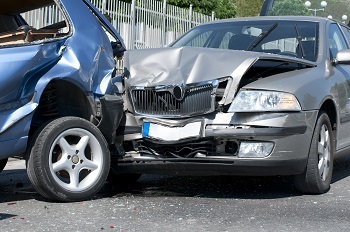 After considering the facts of this auto accident and the resulting personal injuries she and her passengers suffered I analyzed whether or not she had a case. When we get hurt we evaluate our condition and determine whether we need medical care. If the injury is minor, such as a simple cut or a minor burn, then we would most likely apply some ointment and a band aid and it will most likely heal. There is no need for a doctor to be involved. However, if the injury is more severe then there is a greater likelihood that the expense and need for treatment by a trained doctor increases. Now you might treat the injury yourself and that might be alright, but it is more likely there will be greater problems because treatment was not immediately sought. The need for an attorney similarly increases with the severity of the injury. A parking lot low impact accident with no injuries does not need an attorney to resolve the issue. An exchange of information and a report to an insurance company is enough to get the car fixed and to move on. But a freeway accident, or a significant rear-end collision, or a side impact between two cars, with life-altering injuries, absolutely requires an experienced personal injury lawyer. Personal injuries that require legal counsel might include whiplash, sprain/strain injuries, broken bones, cuts, road rash, spinal injuries, and other more serious injuries, including death. Did she and her family members need a personal injury lawyer? Absolutely. We helped her and her family recover a proper money settlement for the injuries they suffered. If you do not seek a personal injury lawyer to review your case, early and carefully, and instead try to do it on your own, you may find yourself working against skilled and cunning insurance adjusters and their lawyers to stop you from collecting anything from your legitimate personal injury case. The insurance adjusters and lawyers have years of training and know how to use even the smallest facts against you. A skilled local personal lawyer protects you from the innocent mistakes made by the untrained injury victim and maximizes the potential recovery by showing why that case is worth more than the offer made by the insurance company. DO I HAVE A PERSONAL INJURY CASE? Only a caring and competent personal injury lawyer can answer that question. But you must ask that question or you may never know the answer. It is true, not every case needs a lawyer. But every case should be evaluated early on by a good personal injury law firm. The Inland Empire Law Group provides you with a careful analysis of your case and will provide information concerning your legal rights. Remember your initial consultation is absolutely free for all injury victims and their families. Contact us to see if we can help at (909) 481-0100.